Rahul Gandhi, who is also contesting from Wayanad in Kerala, had filed his nomination papers there on April 4. 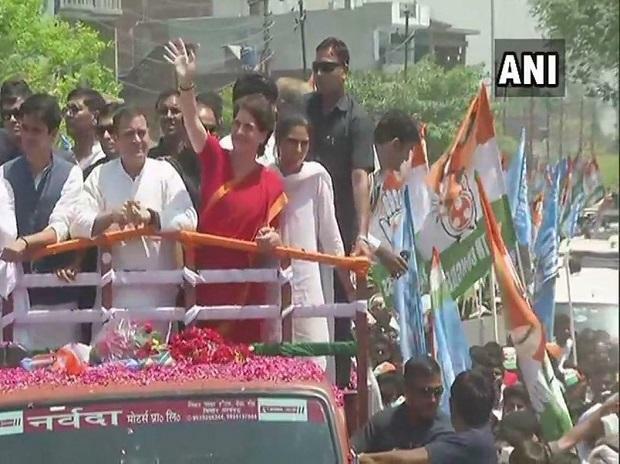 Congress president Rahul Gandhi Wednesday embarked on a roadshow here ahead of filing the nomination papers. He was accompanied by sister Priyanka Gandhi Vadra, her husband Robert Vadra and their two children. The three-term MP will take on Union minister and BJP candidate Smriti Irani in the Lok Sabha election in a virtually direct contest as the SP-BSP-RLD alliance has decided not to put up any candidate here.